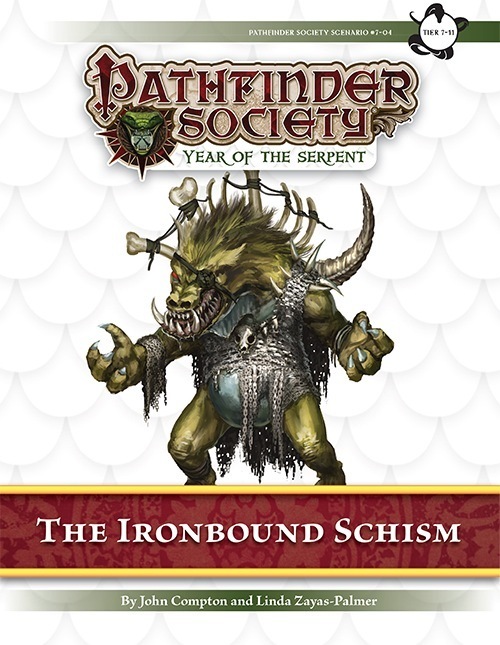 A Pathfinder Society Scenario designed for levels 7–11 (subtiers 7-8 and 10-11). I have an 8th level party support Cleric for this. I’m planning on bringing Garbunkle, my level 9 Gnome Two-weapon Fighter. I’m going to have to bow out of this one, unfortunately. We have family visiting that weekend and my Saturday evening is no longer free. I guess we could also bring along Kyra/7, if necessary.